These are some really good points. Each of them should be spot on IF we are open to hearing the truth about leadership. Of the six points, three of them really stand out for me: People make the difference, Environment, and Humility & Vulnerability. People make the difference: Getting to know what motivates is key… AND THEN helping them achieve is what shows leadership. Environment: What type of environment are we creating that people want to be a part of? If we can get people to enjoy where they are, then their overall experience will be positive and it could become contagious. Once again, it is all about Servant Leadership. Spring sports continue on a great run with playoffs. Would love to see you at an event. Thanks for being a Clinton supporter. 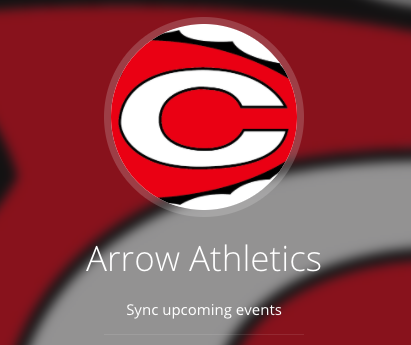 GO ARROWS! I’ve since had the opportunity to reflect on this. What did I mean? How do you enable people to be great, and create ‘great teams’? I’ve sought to break this down to what I believe are 6 key points, however one of my biggest learning’s is that every day is a school day, and this will evolve over time. I continue to learn every single day! Great people are the true differentiator in any successful business or team. As a leader, it is key you keep your eyes wide open and enable everybody to be the best possible version of ‘them’. Get to know all of the people around you, understand what they want to achieve and help them self-realise what they need to do to ‘win’. Then you will see that people become motivated, they have clarity and they have belief, both in you and themselves. Success will follow if you believe in the ‘possibility’ of people. Success will follow if you believe in the ‘possibility’ of people. Would you go and socialise somewhere that made you unhappy? In fact, lets stretch this..
Would you socialise somewhere that didn’t excite you, you don’t find enjoyable, that you ‘don’t’ want to go to? Obviously the answer is no – yet many spend upwards of 8 hours a day in a workplace that they are at best ambivalent towards. As a leader, it is key we create an organic environment that it is enjoyable to be in, that fuels others passion to make a difference and gets people excited to come in to work and succeed. Small acts regularly are always better than the occasional grand gesture. Breakfasts, lunches, walk and talks, sporting events, recognition. Even remembering to greet everyone every day and ask how they are, simple gestures that are often forgotten. Diverse teams will have diverse ideas around what’s is enjoyable, so ensure everybody can be involved to foster ideas. Furthermore, leaders set the tone. Each morning, we need to ensure we walk in and create magic for our teams. As Aristotle’s quote tells us, ‘excellence is not an act, but a habit, we are what we repeatedly do’. Im a great believer that consistency is a key trait in great leaders. Those that change their position consistently confuses others and this damages morale. We have to know what we stand for and be prepared to remember this in the face of challenges. Those that stand for everything, stand for nothing. ‘excellence is not an act, but a habit, we are what we repeatedly do’. When things go wrong, weak leaders blame others – their predecessors, their team, their leaders. Everybody bar themselves. However if you’re explaining, you’re already behind. Rather, we should be willing to show and share our vulnerability. We all make mistakes and sharing these simply displays that we are human! Subsequently we need to highlight our desire to learn from these. It is a sign of strength, not weakness in asking for guidance and support. This tells your team that asking for help is more than just OK. It’s often the right step. Finally, when the teams wins, victory should be about your people. I still live by the motto to #makeyourpeoplefamous. Some days will be be tough. Things will not go the way we expected. However we need to be relentless in moving forward. Resilience really is one of the greatest traits a leader can possess. Finally, be guided by your morals. When making tough decisions, ensure they align with your moral compass. When you have tough conversations, have them with integrity and honesty. Never ignore these as this is fastest route to failure. This is particularly relevant with behaviours.You can give second chances on numbers, but not on values. If you can look yourself in the mirror each evening, knowing that you’ve given it your all and you’ve done the right thing, there really is nothing more you can do. The time is always right to do what is right.